Swordfish are a highly migratory fish that inhabit many of the world’s oceans. This species is often fished on the high seas in international waters, but not all areas are well managed. U.S. and Canadian management of the swordfish fisheries is deemed highly effective due to adequate enforcement, reporting, and bycatch mitigation efforts. In the international swordfish fisheries, many nations have no comprehensive enforcement plan, and most have no comprehensive bycatch mitigation plan. Swordfish mature-early and are moderately long-lived, making them inherently resilient to fishing pressure. Out of the eight swordfish stocks in the world’s oceans, the Pacific stocks are considered healthy and overfishing is not occurring while the North Atlantic stock is nearly rebuilt and abundance is increasing. All other stocks are to be avoided. Harpoon and handlines have minimal habitat effects since they have no contact with the ocean bottom. However, the ecosystem effects of removing a large predator such as the swordfish are not well understood. There is negligible bycatch associated with harpoon or handline fisheries. Longlines are the main gear used to catch swordfish. Catches of swordfish in the Atlantic peaked in 1987 at 20,236 tonnes. In 2013, 11,980 tonnes were landed in the north Atlantic, and 7,787 tonnes were landed in the south Atlantic. In the Atlantic Ocean, swordfish are managed by the International Committee for the Conservation of Atlantic Tunas (ICCAT) as well as the National Marine Fisheries Service (NMFS) within US domestic waters, and the Department of Fisheries and Oceans within Canadian domestic waters. Management regulations in the US include fishing permits, time area closures, the prohibition of live bait, vessel size limits, gear restrictions, catch limits, and size limits. Overall, management is moderately effective. Swordfish have life history characteristics that make them moderately vulnerable to fishing pressure. According to the last stock assessment performed in 2013, the population of swordfish in the Atlantic Ocean appears to be healthy and is not undergoing overfishing. Swordfish have life history characteristics that make them moderately vulnerable to fishing pressure. According to the last stock assessment performed in 2013, the population of swordfish in the Atlantic Ocean appears to be healthy and is not undergoing overfishing. Pelagic longlines have minimal impacts on the habitat as they rarely make contact with the seafloor. Nonetheless, the fishery removes ecologically important species such as other tunas, billfish and sharks. This may have negative effects on the ecosystem. Other ecosystem effects of longline fisheries are not well understood. Globally, longlines are the most popular gear used to catch swordfish. In Hawaii, longline landings of swordfish have varied greatly over time, peaking at 5,900 t in 1993. Due to concerns over excessive bycatch, the fishery was closed in 2000. Once substantial improvements to bycatch management and mitigation were made, this fishery was reopened in 2005. Since the closure, landings have remained stable between 1,200 t to 2,000 t; in 2010, just under 2,000 t of swordfish were landed by the Hawaiin longline fleet. The longline fisheries in Hawaii are fishery are managed by the state of Hawaii and the US Western Pacific Regional Fishery Management Council (WPRFMC). Given that they target highly migratory species (i.e., swordfish and tuna), these fisheries are also under the jurisdiction of the Western and Central Pacific Fisheries Commission (WCPFC) in the west Pacific and Inter-American Tropical Tuna Commission (IATTC) in the east. Domestic measures are moderately effective, and place emphasis on preventing overfished stock status. Nonetheless, no overfishing reference points currently exist for swordfish. Observer coverage is 100% in the shallow-set fishery and bycatch monitoring and mitigation efforts are highly effective. Swordfish have life history characteristics that make the moderately vulnerable to fishing. Based on the most recent stock assessment, the swordfish population in the western and central Pacific Ocean is not overfished and no overfishing is currently occurring. The Hawaiian shallow-set longline fishery has undergone substantial overhauling with regard to bycatch mitigation and management. Incidental capture of non-target species is significantly lower than in years past but some bycatch of seabirds and sea turtles still occurs. This fleet is also known to occasionally capture the vulnerable shortfin mako shark. Shallow-set longlines rarely contact the seafloor. As such, they have minimal impact on the surrounding marine environment. The species caught in the Hawaii longline fisheries are managed under a Fishery Ecosystem Plan that aims to address fishery effects on other species, habitats and the ecosystem as a whole. However, the continued removal of large predatory fish from the ecosystem is not yet fully understood. Buoy gear was developed to reduce the high bycatch levels that are characteristic of longlines. Longlines are the main gear used to catch swordfish worldwide. Catches of swordfish in the Atlantic peaked in 1987 at 20,236 tonnes. Catches of swordfish by buoy gear have ranged from 122,7000lbs to 183,982lbs between 2007 and 2012. The swordfish buoy fishery is regulated by the National Marine Fisheries Service (NMFS) and the International Commission for the Conservation of Atlantic Tunas (ICCAT). Management has been successful at reducing bycatch by introducing buoy gear. Catches of non-target species of concern such as Atlantic Bluefin tuna, sea turtles, and sea birds has been reduced. ICCAT regulations include fishing permits, quotas, fishing seasons, gear restrictions and size limits. A 10-year rebuilding plan that was implemented in 2000 successfully rebuilt the swordfish population in the North Atlantic. Stock assessments are performed every 4 years. Swordfish have life history characteristics that make them moderately vulnerable to fishing pressure. According to the last stock assessment performed in 2013, the population of swordfish in the Atlantic Ocean appears to be healthy and is not undergoing overfishing. Due to its high selectivity, buoy gear causes minimal bycatch. Swordfish comprise the majority (85-90%) of the catch. Occasionally hammerhead sharks are caught as bycatch. Although hammerheads are not caught in great numbers, their populations are depleted. Buoys do not make contact with the ocean floor and therefore cause little to no habitat damage. The handline tuna fishery in Vietnam managed by the Western and Central Pacific Fisheries Commission also catches swordfish. Swordfish populations in the North Pacific are healthy, while the status of the population in the south pacific is less certain. Handline fisheries have a low amount of bycatch and interactions with species of concern such as marine mammals, sea birds, and turtles are rare. Globally, pelagic longlines are the most popular gear used to catch swordfish. Catches have historically been variable in the Pacific Ocean. In 2012, catches of swordfish in the Pacific Ocean amounted to roughly 30,000 t; 22,000 t of swordfish were caught by longline in the Indian Ocean (this represents over 90% of the swordfish landings in this ocean). In the Atlantic, just under 20,000 t of swordfish were taken by longline in 2013. In international waters, swordfish are managed by the Inter-American Tropical Tuna Commission (IATTC) in the eastern Pacific Ocean and by the Western and Central Pacific Fisheries Commission (WCPFC) in the west. 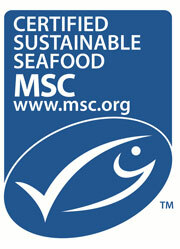 Management measures have not been enacted for swordfish, although regular stock assessments are performed. Much concern exists regarding management’s bycatch strategies. Measures exist to reduce bycatch levels, but there are no bycatch limits. As such, management of bycatch is largely ineffective. In the Indian Ocean, swordfish are managed by the Indian Ocean Tuna Committee (IOTC). Regular stock assessments are performed, and catch limits have been set up in recent years. However, there are ongoing concerns of vessel non-compliance, improper catch reporting by member fishing countries, and a lack of effective bycatch management measures. In the Atlantic Ocean, swordfish are managed by the International Committee for the Conservation of Atlantic Tunas (ICCAT) as well as the National Marine Fisheries Service (NMFS) within US domestic waters, and the Department of Fisheries and Oceans within Canadian domestic waters. Management regulations in Canada include minimum size limits and catch quotas. Swordfish are no longer in an overfished state due to successful rebuilding plans. Stock assessments are performed every 4 years. Apart from the implementation of circle hooks, Canada’s management of bycatch is ineffective due to a lack of practices for the protection of sharks and sea turtles. Canada also lacks observer coverage on vessels to monitor and record catch and effort. Swordfish have life history characteristics that make them moderately vulnerable to fishing pressure. None of the swordfish populations in the Pacific Ocean are currently overfished, but overfishing may be occurring in the southwest Pacific. While the Indian Ocean stock appears to be healthy, previous overfishing in the southwest part of this ocean has resulted in localized depletion; in this region, swordfish are currently overfished. However, overfishing is no longer occurring here or in any other part of the Indian Ocean. 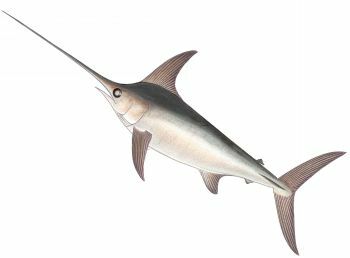 The swordfish stock in the Atlantic is also believed to be healthy (not overfished), with no overfishing occurring. Pelagic longlines are a nonspecific fishing method. Extensive bycatch of billfish, sharks, sea turtles and seabirds occurs. Non-target species caught include several threatened or endangered status species, such as green sea turtles, hawksbill turtles, leatherback turtles, AND silky sharks. Numerous species of albatross are caught in the southern Indian Ocean and although measures exist to reduce and monitor bycatch levels, compliance by fishing countries has been low and these measures have thus far been ineffective. Pelagic longlines have minimal impacts on the habitat as they rarely make contact with the seafloor. Nonetheless, the fishery removes ecologically important species such as other tunas, billfish and sharks. This may have negative effects on the ecosystem. Other ecosystem effects of longline fisheries are not well understood. The IATTC is working on ecosystem based models in order to take these effects into consideration.